Is Your Business Safe From Cyberattacks? Verizon’s annual Data Breach Investigations Report (DBIR) takes data from thousands of reported cybersecurity incidents and breaches in order to give business owners a snapshot of where cyberattacks are trending. Interestingly, small businesses account for over half of the victims of reported data breaches. Why do small businesses take up such a large part of the pie? Cyberattacks can interrupt your daily operations (at best) or they can completely cripple your business (worst case scenario). We want to make sure that you don’t become a statistic! Read on to find out if your business is ready for a cyberattack, or if there are improvements that you can make to keep yourself secure. What Are Common Forms of Cyberattacks? Denial of Service – One of the most common forms of a cyberattack is a Denial of Service (DoS). A DoS is a way by which attackers overwhelm a website’s server with access requests. As an example, think of DoS as a group of people crowding the doorway of a store in order to prevent legitimate shoppers from entering. Not only can DoS attacks compromise your data by allowing other malware into your system, they can interrupt your business flow by restricting access to your website. As the DBIR states, “For those who make their living entirely by their e-commerce site, mitigation plans are a must, not a luxury.” There are various ways to defend against DoS attacks; your IT department or managed service provider should be able to provide you with the best course of action. Ransomware – Another form of a cyberattack is a relatively new one: ransomware. Verizon’s report found that ransomware has been on the rise for the past five years. In fact, ransomware was found in over 40% of reported malware. Ransomware — which typically comes from malware downloaded by users — can cripple a business’ infrastructure. Attackers usually use ransomware to extort money from their victims who are desperate to have their systems released. We go into thorough detail about ransomware in a different blog post. We’ve also found that email is still the most effective way for computers to get infected by malware: 92% of all incidents of malware reported came in through email. Luckily, more users are becoming conscious of phishing attacks. Verizon’s report found that 78% of users do not click on a single phishing campaign. As we’ve mentioned before, it is very important that employees recognize and report phishing attempts or attacks. What Can I Do To Make Sure That I Don’t Become A Victim? As we’ve said, cyberattacks are an ever-present threat to our privacy and information. 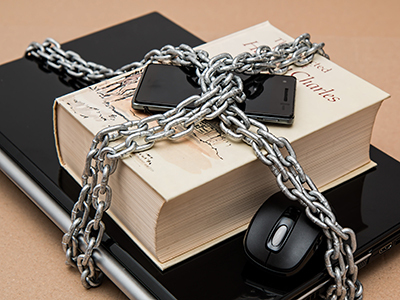 Having preventative measures in place, being aware of what employees are downloading, and backing up your important information are a few things that you can do to stay safe. Businesses need to be aware of the threat that cyberattacks pose, so stay informed of new vulnerabilities that pop up. If you think your business has been compromised by a cyberattack, contact your IT department or managed service provider. Have you taken steps to guard yourself against cyberattacks? Do you have any questions about how you can improve your security? Let us know in the comments! Zuma Technology is a managed service provider that specializes in ​technology solutions for small and medium businesses. We proactively manage the customer’s computer​ and network​ infrastructure to maintain a​ secure​, functional​ and efficient​ environment. Pingback: Email Spoofing – How To Recognize A Spoofed Email Message?